The Day of Reflection (sometimes referred to as the Day of Private Reflection or the Day of Reflection and Reconciliation) is observed on June 21 each year. It was created to reflect on the conflict in Northern Ireland. The ethno-nationalist conflict in Northern Ireland, commonly referred to as the Troubles, lasted for almost 30 years. More than 3,500 people were killed in it, about 1,900 of them were civilians. 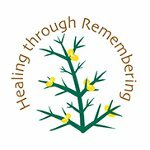 The Day of Reflection was created by HTR (Healing Through Remembering), a cross-community organization in the Northern Ireland that focuses on the legacy of the conflict in Northern Ireland. The date of June 21 was chosen because it is the day of the summer solstice. The solstice was viewed as a symbolical opportunity to look both back and forward. This day was first observed in 2007, although HTR first came up with the idea in 2002. The Day of Reflection honors the people who were killed in the conflict in and about Northern Ireland or affected by it in any way. It is offered as a day of private reflection therefore no large public events should be held on this day. HTR hopes that this day will become a source of support and strength for those who have to deal with the consequences of the conflict.